One Direction was at one point the most popular boy band. Now, after years of countless Billboard music hits, One Direction is no longer one. Ever since the group separated, the members of One Direction have all set out on their own musical endeavors. Now, they have all gone into different genres of music and created their own hit singles that are on the charts. Ex-member Niall Horan released his latest project with the album “Flicker.” His album drifts away from the pop, boy band music he once sang. Horan’s new sound instead has more of a pop-folk vibe. “On the Loose” is the first song on the album. This song sets the stage for the chill atmosphere that is expressed throughout the album. Songs like “Since We’re Alone” and “You and Me” have a similar tone to them. “This Town” was one of the first songs released as a single from the album months prior to its release. This song is what really sets him apart from the music he has done prior to this album. The song is emotional and pulls at your heartstrings in an unexpected way. “Flicker” and “Mirrors” are other ballads that show Horan’s talents as a newly acclaimed singer-songwriter. “Seeing Blind” seamlessly blends his voice with that of Maren Morris. Morris is a country music star who influenced the song to have a folk-like twang about it. Horan made this collaboration possible via email to Morris, and this upbeat acoustic song is what came out of their work together. “On My Own” is another song on the album that definitely has a folk vibe that comes with an Irish influence from his roots. “Slow Hands” was the first song to come out from the album. This set the stage for where his musical future is headed as a solo artist. There is something pure and untouchable about his work that sets it apart from his time at One Direction. The catchy rhythm of this song adds a nice energy to the album. “Too Much To Ask” is a sentimental ballad regarding Horan’s dating life. He recently performed this song on “The Ellen Show” and talked about the struggles of dating as a constantly touring performer. He is still currently learning how to balance his life in regards to love and being a performer. In other songs like “Paper Houses” and “Fire Away,” listeners can notice how Horan took the time to pour his heart into every note and lyric. Horan’s new music has been compared to that of artists like John Mayer and Ed Sheeran. This could possibly go back to his focus on acoustic ballads featured throughout the album. 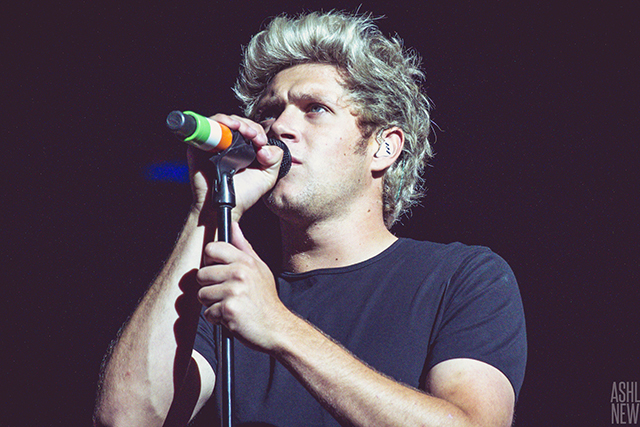 “The Tide” is the closing song on the album and is a strong finish in this start of a new chapter for Niall Horan.